At least nine Taliban militants including five of their local commanders were killed during an operation of the Afghan Intelligence Special Forces in eastern Nangarhar province. 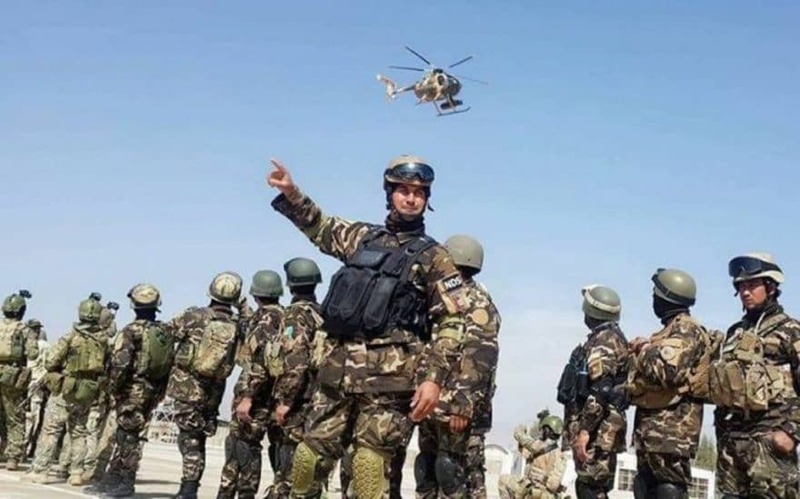 The 201st Silab Corps of the Afghan Military in the East in a statement said the Special Forces of 02 Unit of National Directorate of Security (NDS) conducted a night raid in Khogyani district on Tuesday night. The statement further added that 9 Taliban militants including five local commanders of the group were killed in the operation. The Taliban commanders who were killed in the operation have been identified as Ehsanullah Motmaeen, Loqman, Qari Salahuddin, and Zarqawi, the National Directorate of Security said. The statement also added that a compound of the Taliban militants was also destroyed during the operation. Nangarhar is among the relatively calm provinces but the security situation in some of its remote districts has deteriorated during the recent years due to the presence of Taliban, ISIS-K, and other militants.